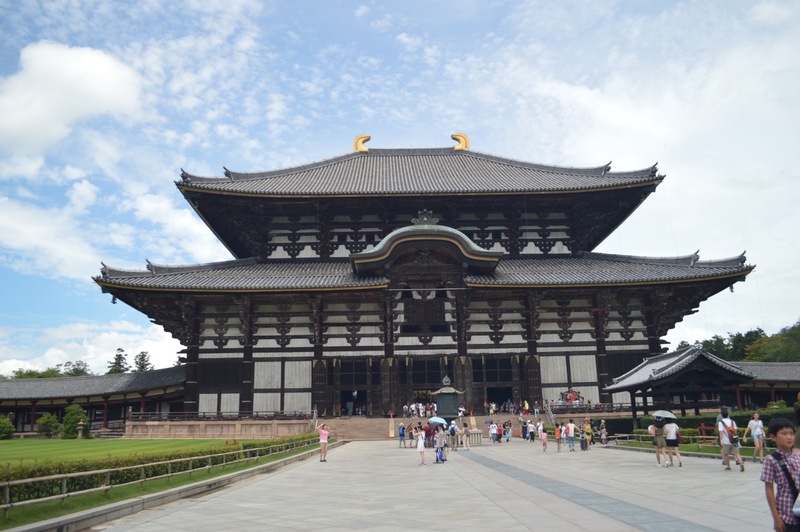 Nara is the capital of Japan’s Nara Prefecture, in south-central Honshu located in the Kansai region. The city has significant temples and artwork dating to the 8th century, when it was Japan’s capital. 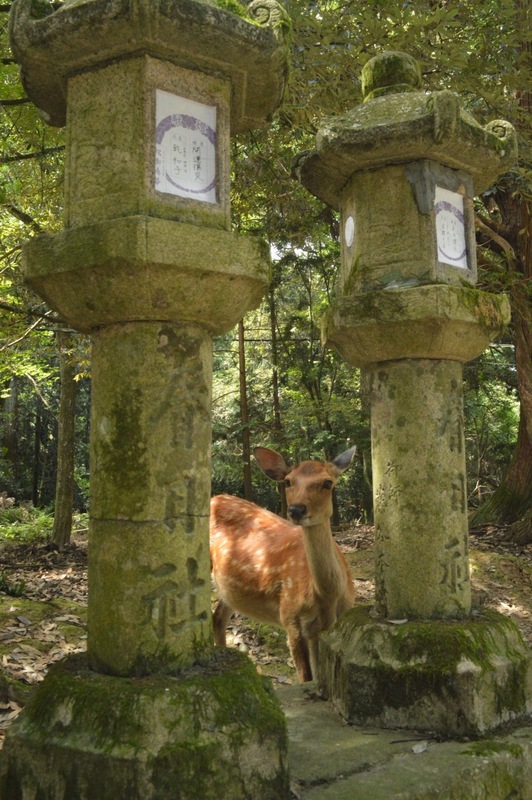 Deer freely roam in Nara Park and the site of Todai-ji temple. 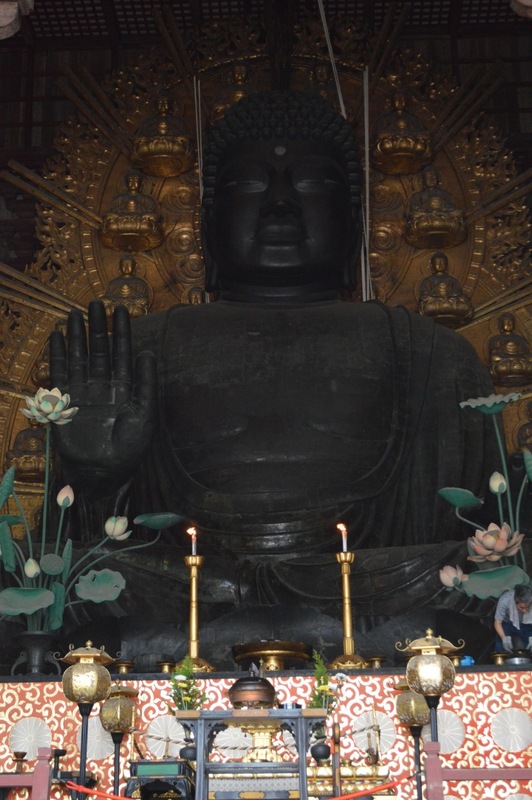 At Todai-ji, Daibutsu, a 15m-high bronze Buddha, is displayed in a grand, wooden hall. 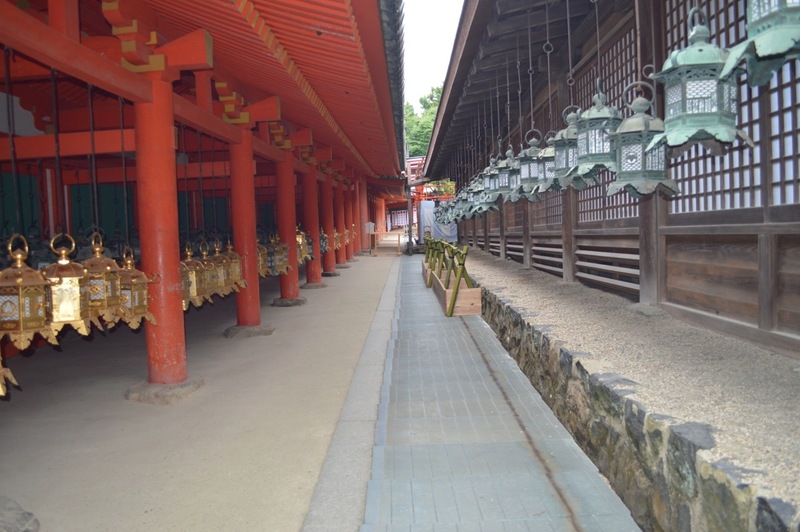 The Shinto shrine Kasuga-taisha, founded in 768 C.E., has 3,000-plus lanterns. On this beautiful summers day I went to check out this amazing place. 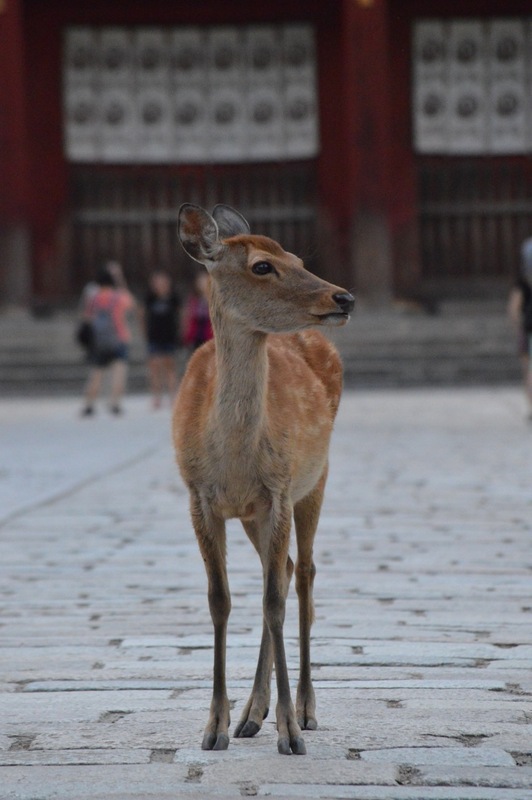 First off I went for a stroll around “Nara Park”, Established in 1880, It is a public park where you will find wild deer (Considered to be messengers of the gods) roaming the parks, temples and streets, so you need to be quite alert while driving as these animals are everywhere. Quite a sight to behold. 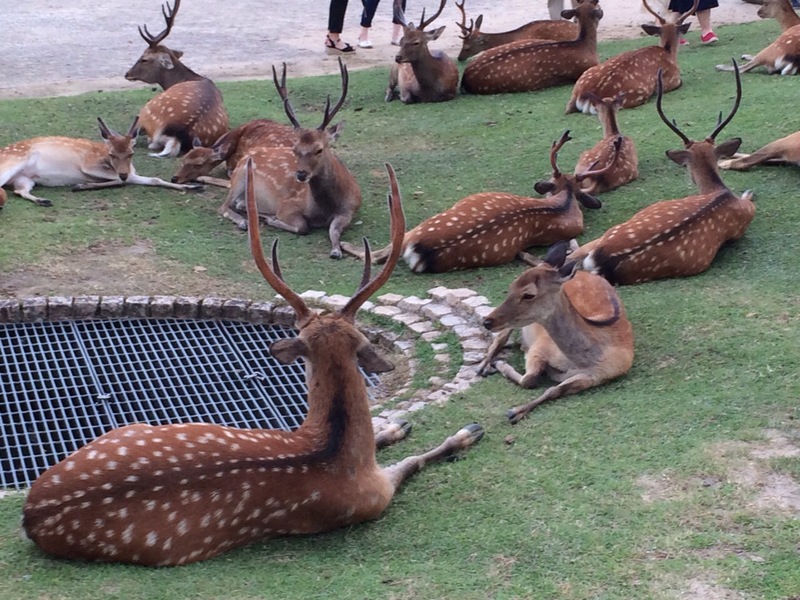 They are quite tame as you wander the streets and checkout the stalls the deer will interact with the people and you can buy deer crackers from stalls to feed them as well as pat these wonderful creatures. But beware because they are WILD! 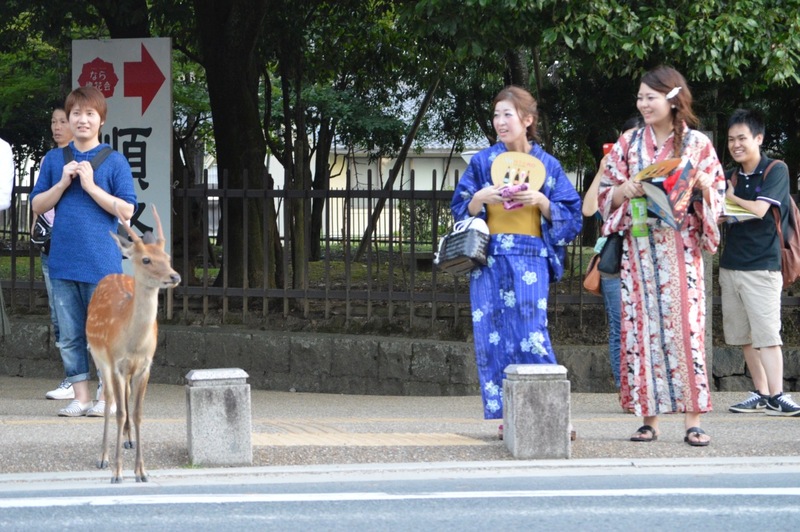 There are many other main attractions in the area like Kofukuji and the Nara National Museum. Next was a visit to Todai-ji (The great eastern Temple) Built in 752 and is one of Japans famous and historically significant temples. Inside the main hall (Daibutsuden) the big Buddha hall is the world’s largest wooden hall and is the home of a 15 meter tall bronze Buddha. It’s said if you can squeeze through you will receive enlightenment in the next life…. I guess the chinaman wont…..
Of course there are many souvenirs to buy here too. Our next stop was the Kasuga-Taisha established in 768AD. A very beautiful place to see, The offering hall is free to check out and there is a paid inner area too, This place is famous for it’s lanterns and is a UNESCO World Heritage site. A place not to be missed on your visit to NARA!